THREAT FROM ABOVE: What is the”threat from above” the leaders of the world’s countries are most worried about? 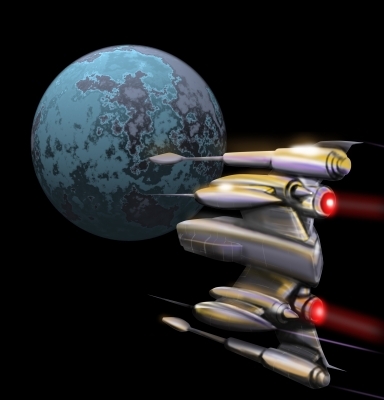 The world’s elite military commands seem to have a preoccupation with threats to the earth from outer space. The media has spent the last several years trumpeting this or that “threat from space.” Articles detailing the latest “near earth miss” from “near earth objects” have become commonplace. The rulers of this world seem very, very interested in weapons (by any name) for use against space-based threats, whether they claim to be asteroids or aliens or comets or whatever. Why all of the Corporate Media/government attention to space threats? Has the earth suddenly become bigger and harder to miss? What has attracted the dozens of “near earth misses” the media has been promoting lately? One clue can be found in the Bible. The following is an account from the climax of man’s rule on earth. And I saw heaven opened, and behold a white horse; and he that sat upon him was called Faithful and True, and in righteousness he doth judge and make war. And the armies which were in heaven followed him upon white horses, clothed in fine linen, white and clean. ​And I saw the beast, and the kings of the earth, and their armies, gathered together to make war against him that sat on the horse, and against his army. The Bible says that the kings of the earth and their armies will be gathered together to make war on Jesus Christ when He returns to earth. Could the real “threat from above” the world’s leaders are so worried about be Jesus Christ? It’s revealing to look at the mission patches worn by US military, space and intelligence units concerned with space operations. These patches reveal a host of devils, wizards, snakes, pagan gods, wolves, dragons, witches and the like. The occult is heavily represented. Just as in today’s churches. 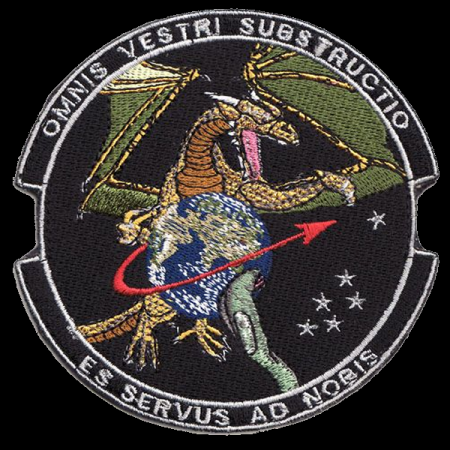 OCCULT MISSION: Allegiance to the dragon is common among military/intelligence space units. So, do the world’s leaders actually believe they can make war on the God of Heaven and win? Do they really believe they can overcome the Lord of Hosts? Do they plan on fighting the King of Kings when He returns. Simply put, the world’s leaders are deceived by the dragon (Satan) and by supernatural demonic power. There’s also likely a heapin’ helping of human arrogance and pride stirred into the mix. And 99.9 percent of the earth’s deluded population will be cheering for Team Dragon in their battle against Jesus. The kings of the earth assemble their armies in the valley of Megiddo. “Armageddon” means “Har Megiddo” or the mountain at the end of the plain (valley) of Jezreel (or Megiddo). It has been the scene of many large battles over the last 3,500 years. Russians, Americans, Europeans, Canadians and South Americans will be joined by millions of Chinese, Indians, Japanese: all of the world’s armies are gathered together to fight Jesus. The road from China into Pakistan (connecting with roads further into the Middle East) has already been constructed by the Chinese and Pakistanis. On June 30, 2006, a memorandum of understanding was signed between the Pakistani Highway Administration and China’s State-owned Assets Supervision and Administration Commission (SASAC) to rebuild and upgrade the Karakoram Highway. According to SASAC, the width will be expanded from 10 to 30 metres (33 to 98 ft), and its transport capacity will be increased three times its current capacity. In addition, the upgraded road will be designed to particularly accommodate heavy-laden vehicles and extreme weather conditions. For the last 100 years, American leaders have been getting Americans ready for this scenario. —–FROM New World Order Strategy: Aliens Attack, the World Unites! The end result of the battle (which may feature weapons against the threat from above) at Armageddon? This great battle is a great slaughter. Blood as high as a horse’s bridle will run for 1600 furlongs: 200 miles. That’s about the length of the valley of Megiddo. How deceived must the world and the world’s leaders be to believe they can win against God Almighty and His Son, Jesus Christ? So what’s the REAL space threat the world’s military is preparing for? Revelation 19 has the answers. And now you, the reader, knows.